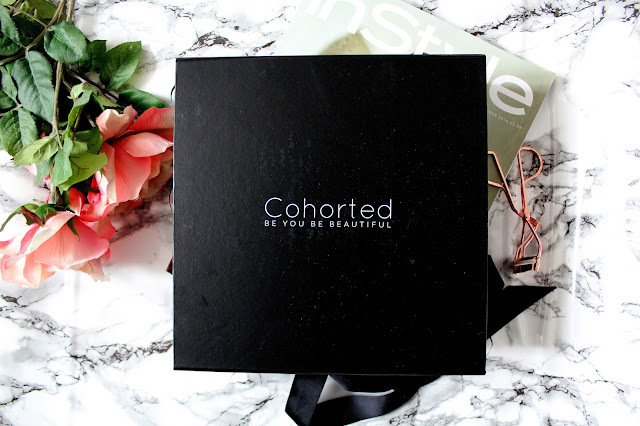 I’ve been a subscriber to Cohorted’s beauty box for over a year now and I’m also really impressed with the contents of the boxes. This month however has REALLY stood out for me as now I use all the products in this box pretty much everyday! I’m so impressed with this months box and I can’t wait to see what they have in store for next month. 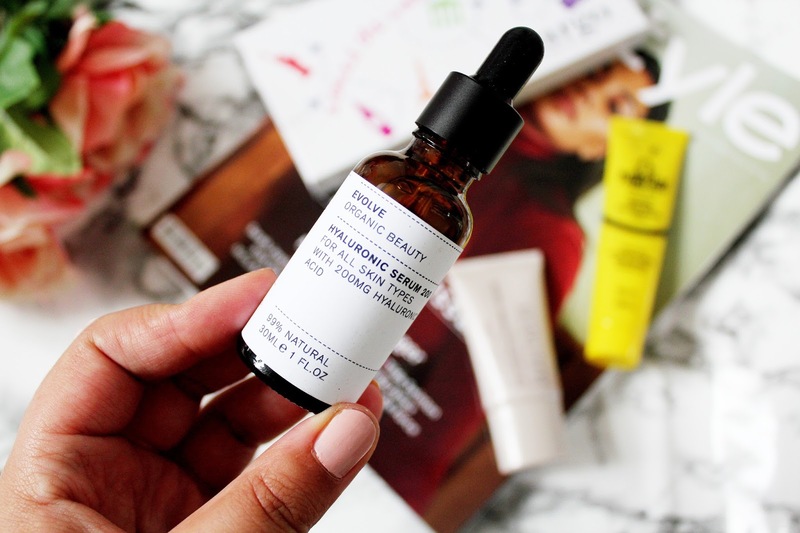 If you’re a fan of the Pixi Glow Tonic you’ll love this serum from Evolve Beauty. Firstly, all Evolve products are made from organic and natural materials and are based from natural super food based ingredients. This serum helps to hydrate your skin and plump up fine lines and wrinkles and this serum is fragranced with rose water. I like using this on my face after cleansing and then I use my moisturiser afterwards and it’s like giving yourself a mini facial! 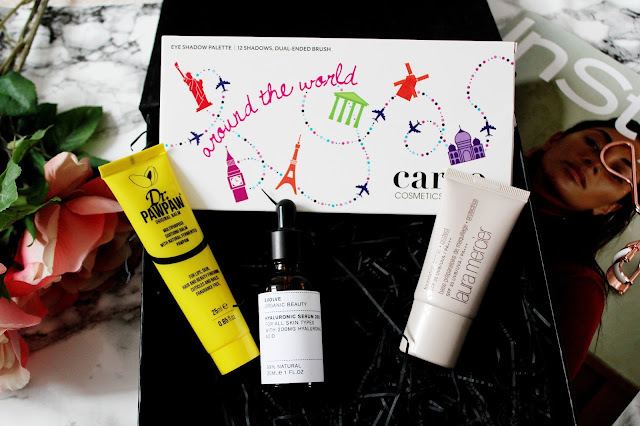 This serum is also loved by Sam & Nic (Pixiwoo). 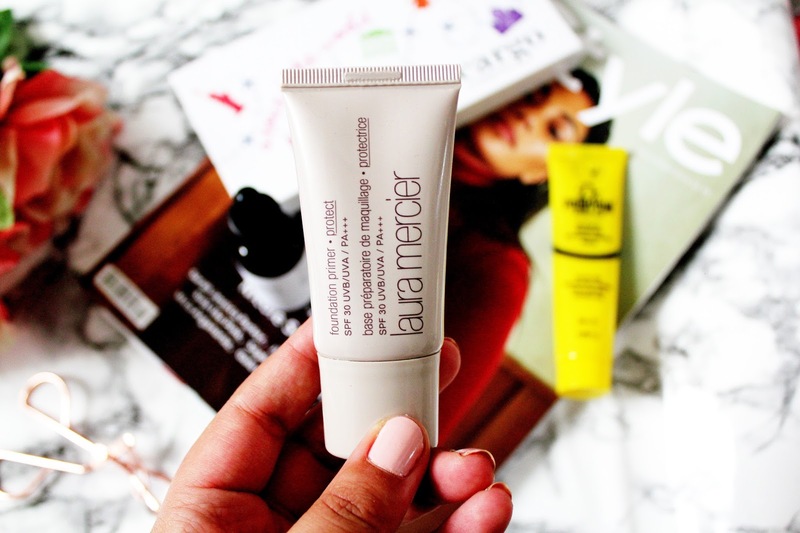 I like to this of this balm as the budget friendly version of the Elizabeth Arden 8 hour cream. I’ve gone through a few of these now and so I was excited to have another one! This lip balm is made in the UK and from natural ingredients too. You can use this to help heal sun burn, skin irritations, as a hair conditioning treatment, on dry skin, on your nails (pretty much anywhere!) and it’s handbag friendly too as it’s only 25ml in size. Also, a little of this balm goes a LONG way! This product from Laura Mericer alone is worth nearly the amount that this box cost, which makes this months, box such good value for money. 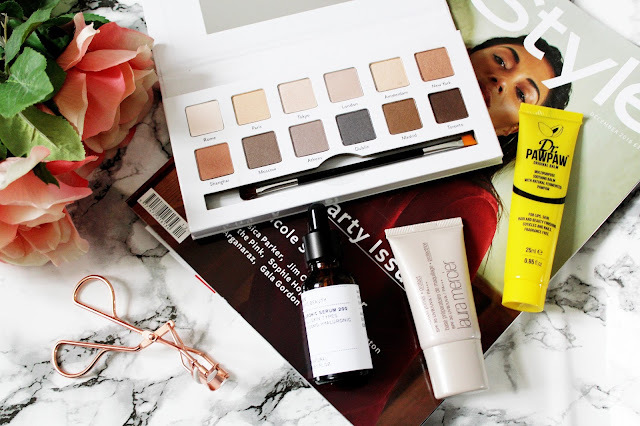 I’ve tried this primer before as it had come in a different beauty box and I loved it so I was SO excited to have a full size version. This primer helps give my skin that extra bit of moisture and helps my foundation stay on all day. I was delighted when I saw an eye shadow palette in this months box. 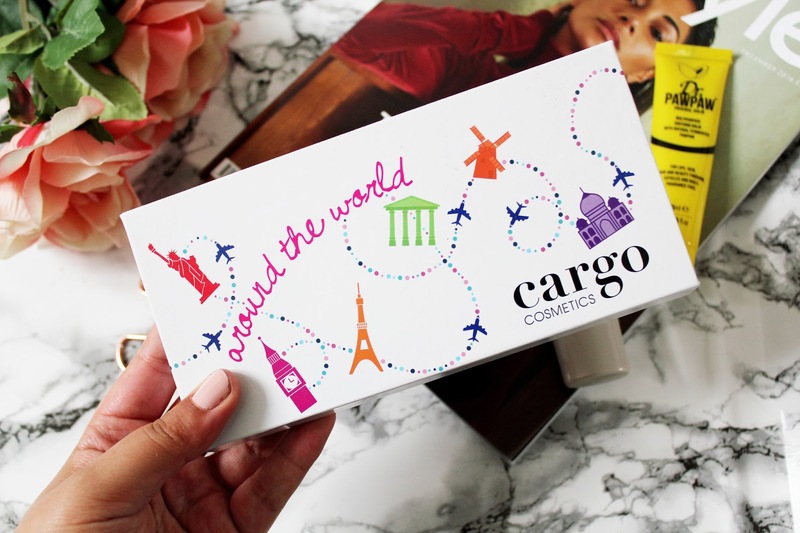 I am a big fan of Cargo Cosmetics and this palette is absolutely gorgeous. 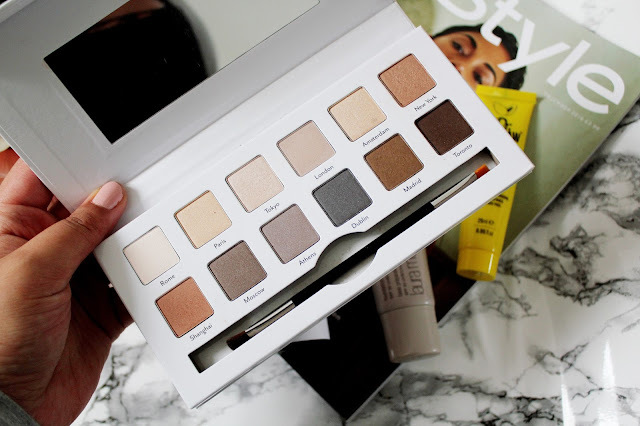 I love the brow and neutral shades and how pigmented they are. I’ve been using this palette solidly for about a week now to create simple looks to wear to work and this has suited me perfectly. 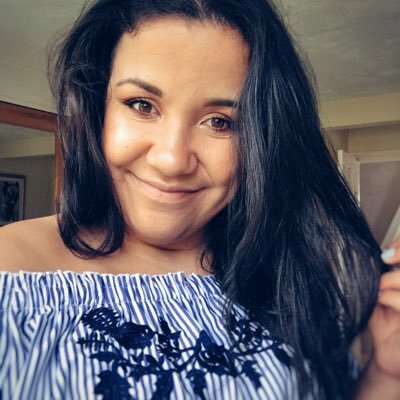 Overall, I absolutely love this months box and I’m so impressed with every single product! I genuinely couldn’t pick a favourite, as I love everything! You can sign up Cohorted here for as little as £35 a month + Free delivery. the palette is looking gorgeous ! This sounds amazing!! Definitely have to check this out!! 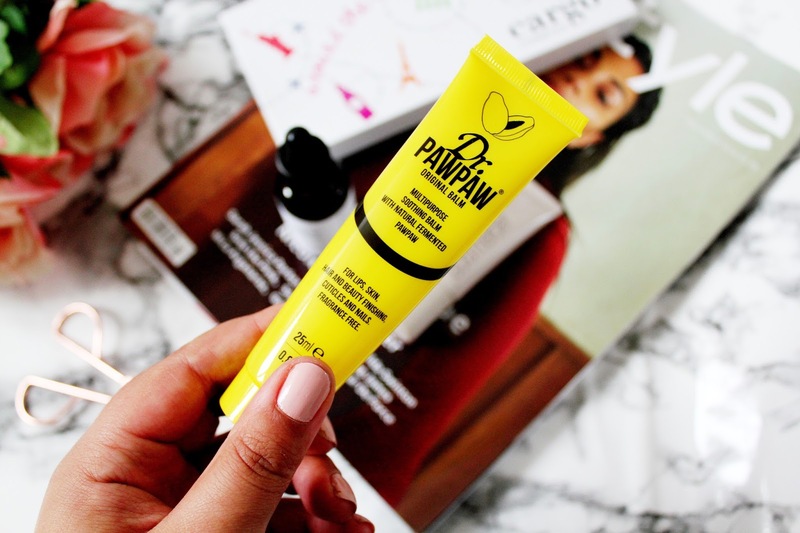 Love the look of the paw paw balm! Will have to try this!